My dear friend, Katie, helped me get everything that I needed. 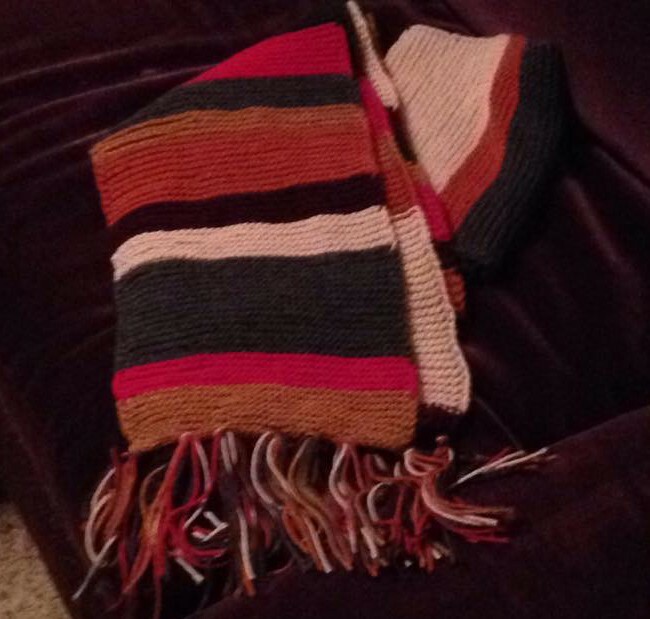 She had already made a 4th Doctor scarf so she was extremely helpful with colors. I ended up taking the project with me to several states. Surprisingly enough, knitting needles are not a concern when it comes to USA TSA. 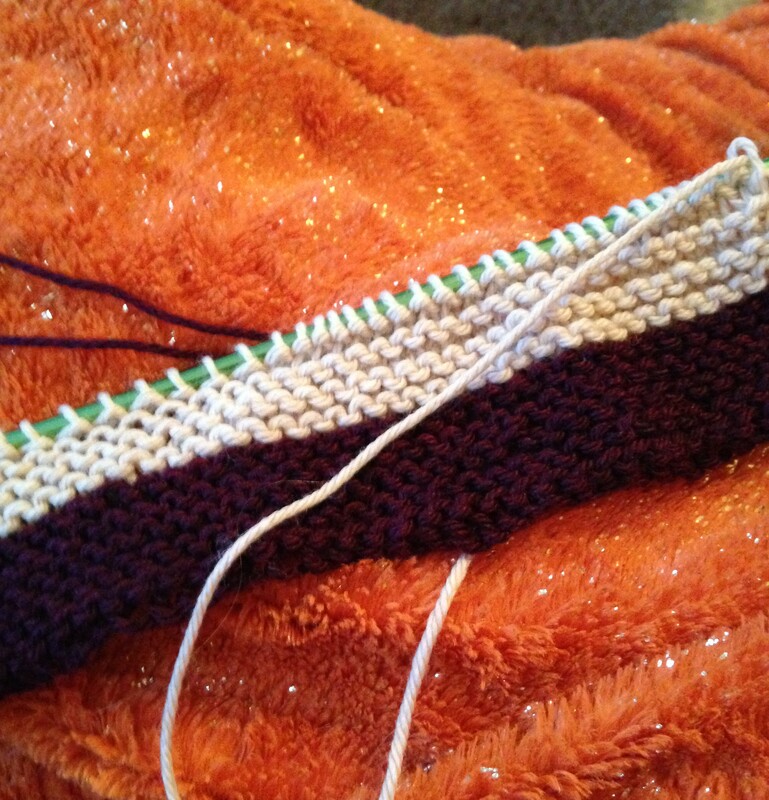 Having never knit anything before it was quite exciting to watch the piece grow. I slowly learned how to maintain consistent tension as well as the ‘joy’ of weaving in the ends. I successfully finished the scarf in time for Christmas. I think my sweet kitty was the saddest to see that she could no longer use it as a bed. If she’s nice enough August will allow her to snuggle up with it again. And here he is with the borrowed scarf! 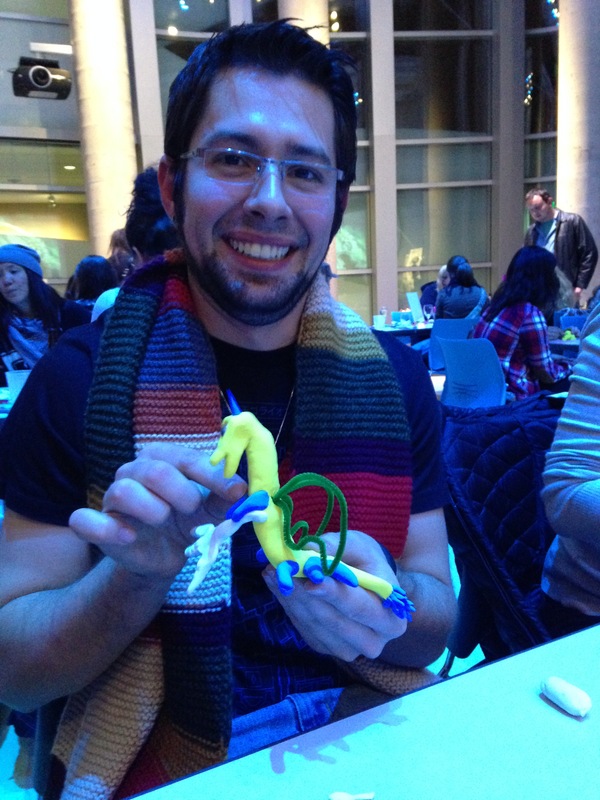 It was a perfect addition to the Denver’s Museum of Nature and Science night of Mythical Creatures.